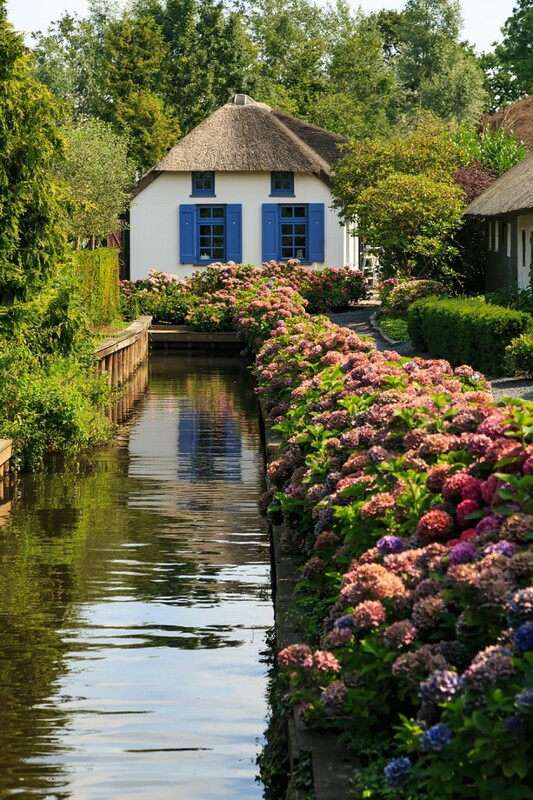 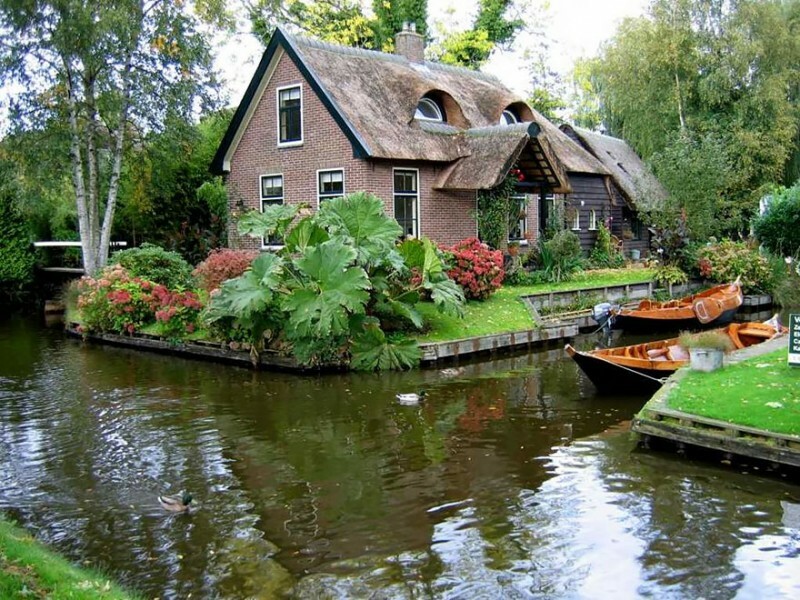 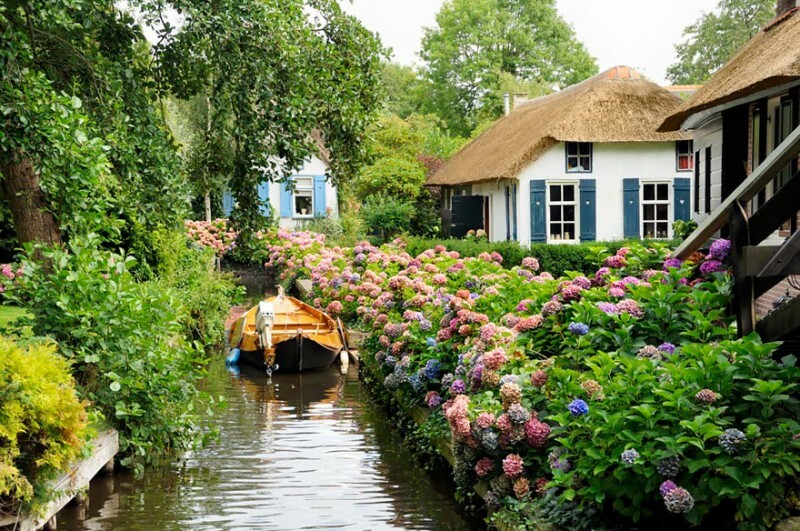 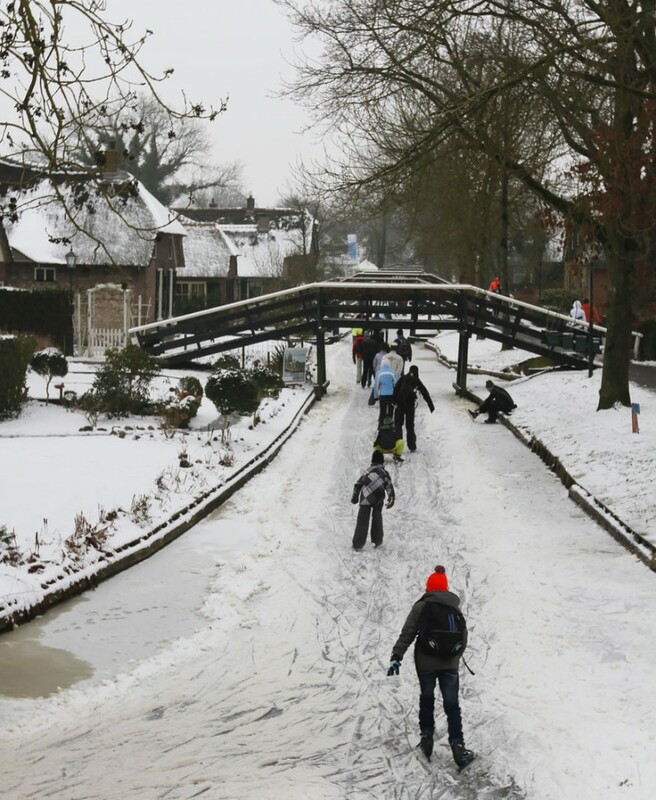 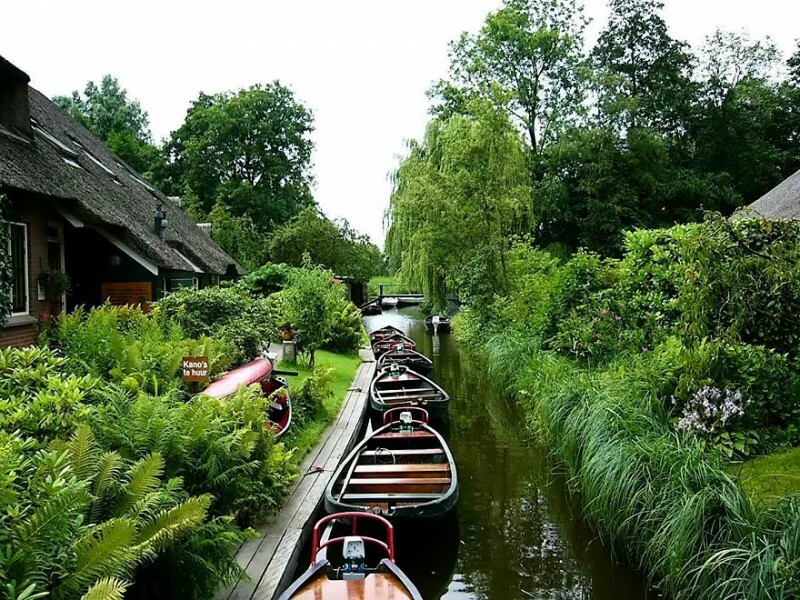 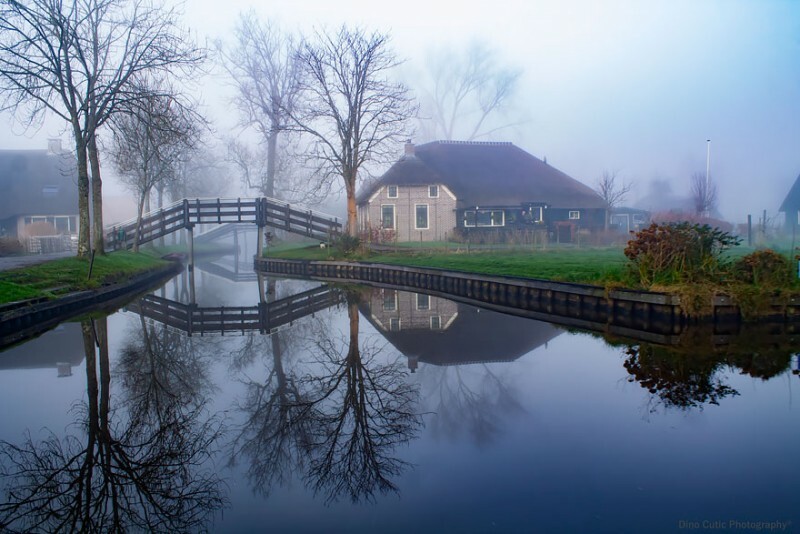 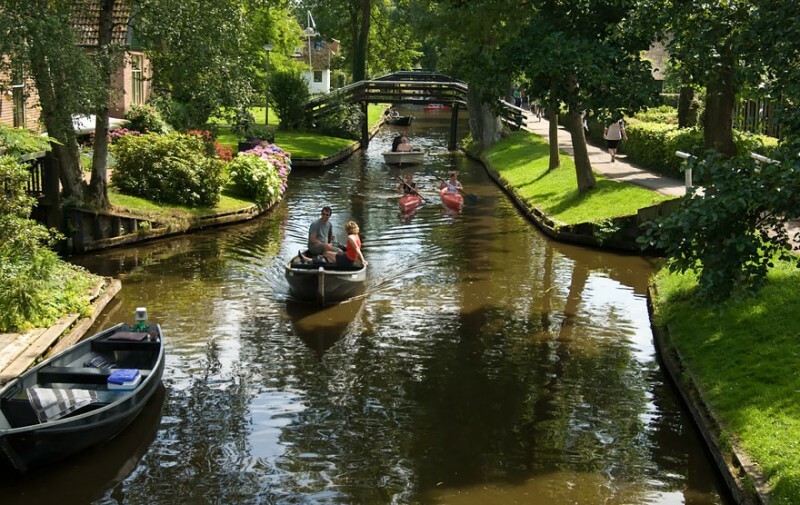 The village Giethoorn, a fairytale-like village founded around 1230, is also known as “the Venice of the Netherlands”, which has no roads but canals and 176 bridges, no any modern transportation but “whisper boats” with noiseless engines. 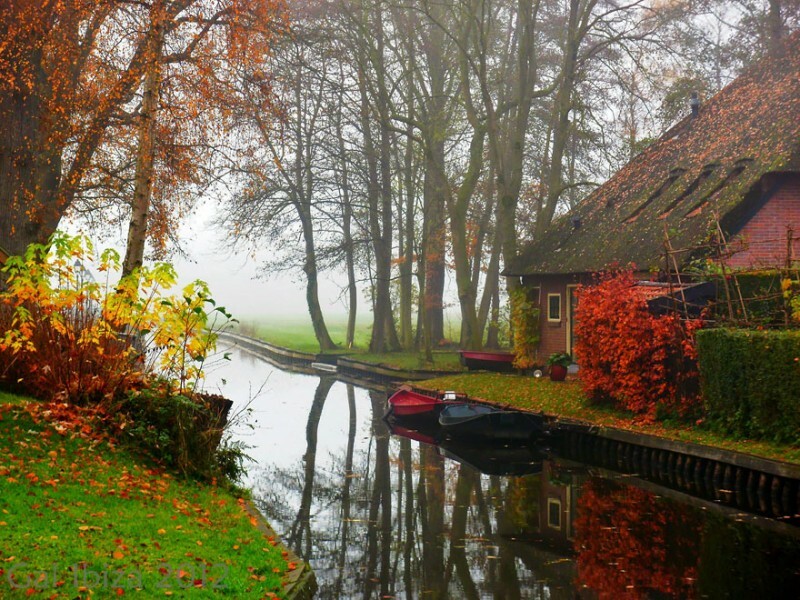 “the loudest sound you can normally hear is the quacking of a duck or the noise made by other birds”. 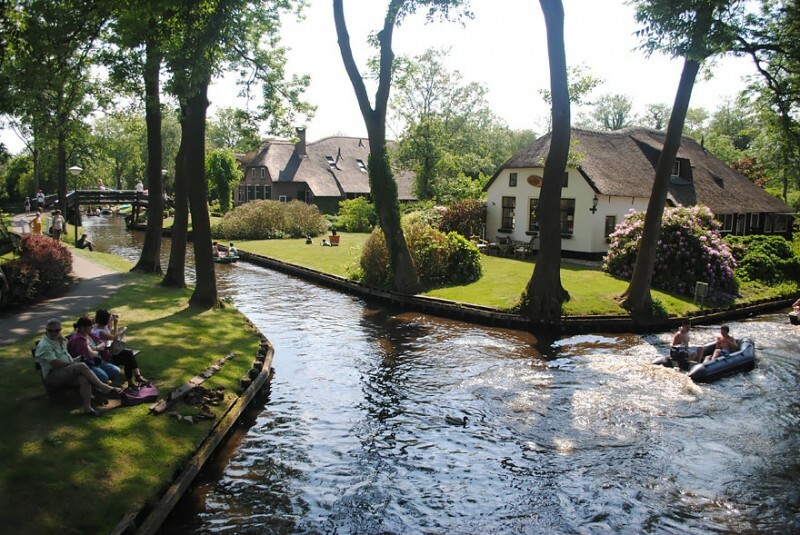 The village describes the beauty and quiet of surroundings in their website.